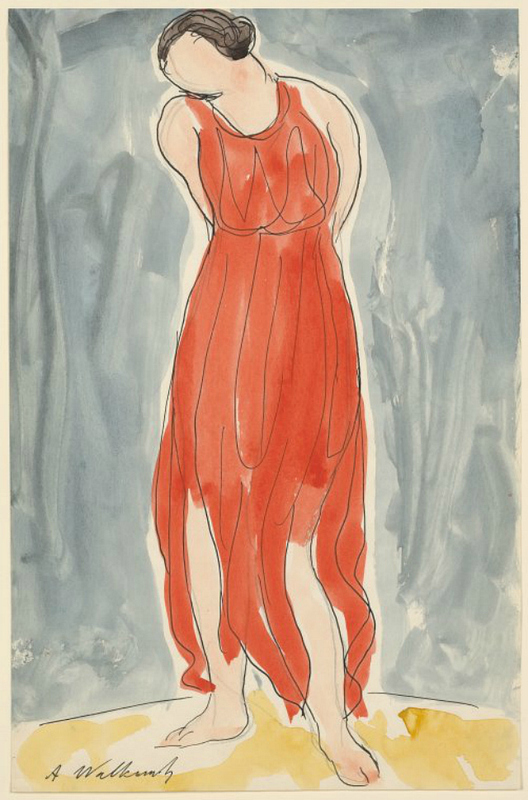 At the Paris studio of Auguste Rodin in 1906, Siberia-born American painter Abraham Walkowitz met modern dancer Isadora Duncan. 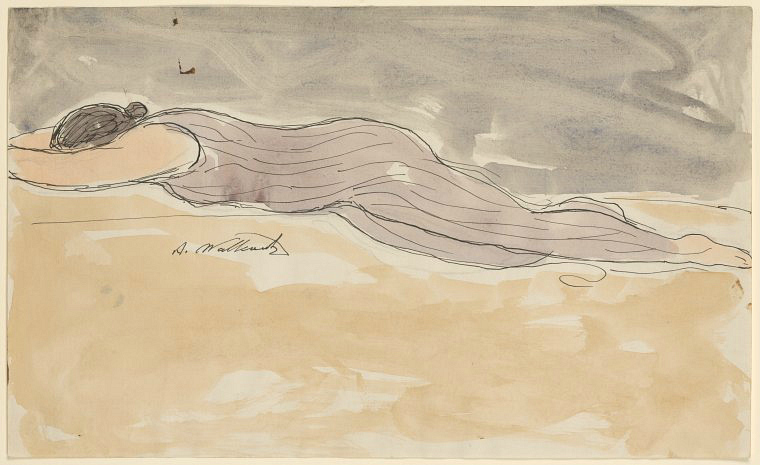 Until her untimely death in 1927, when her long scarf fatally laced its way into the wheel of her car in Nice, she was the artist’s muse, and he sketched her thousands of times. 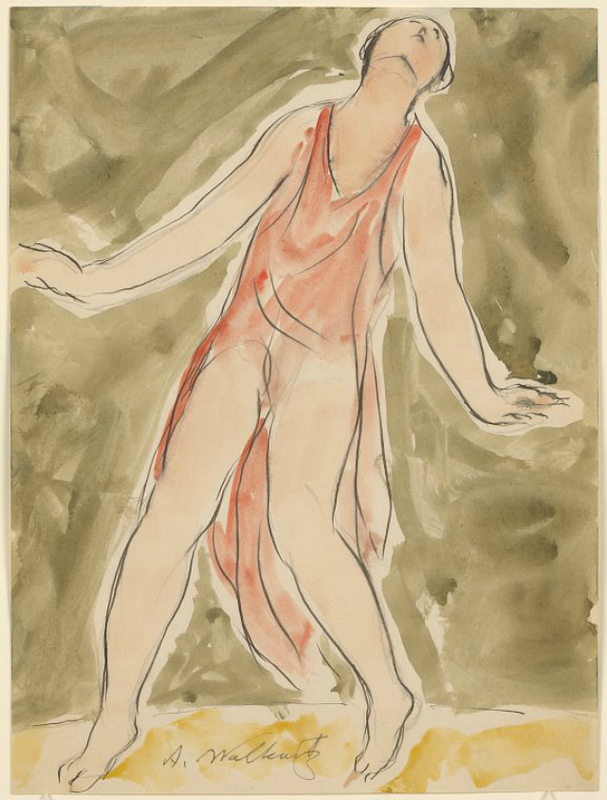 The New York Public Library recently digitized a series of these watercolor and pen drawings that show the groundbreaking dancer in moments of motion. 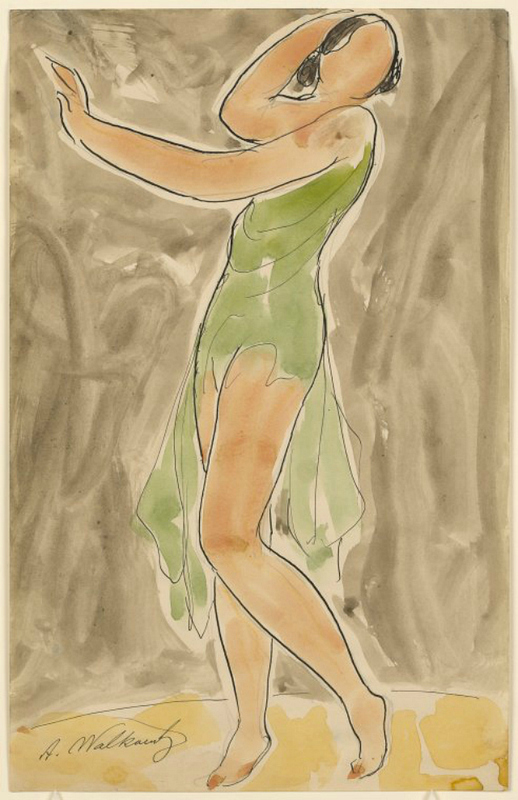 The watercolors are part of the library’s Jerome Robbins Dance Division, the world’s largest archive on the documentation of dance. 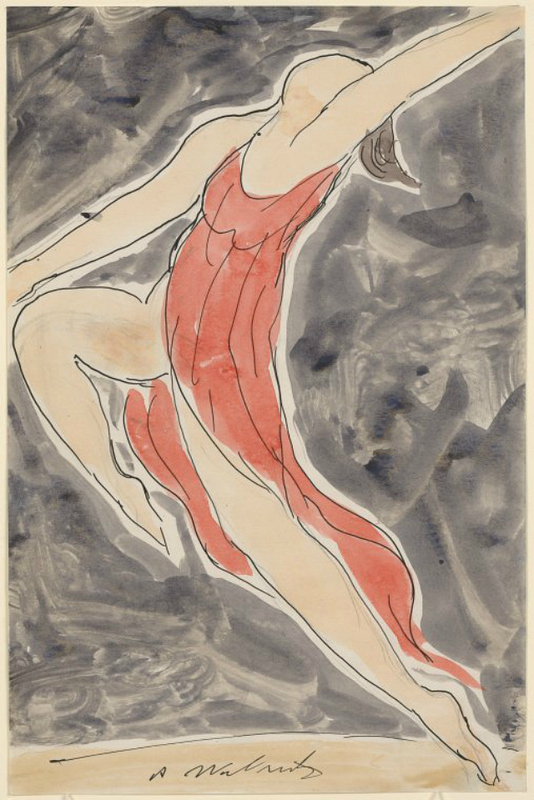 While the Division includes numerous photographs of Duncan — posing at the Parthenon in 1920, leaping over the waves in 1915, and in the portrait studio— the illustrations suggest something of her unconventional movement lost in the static captures. 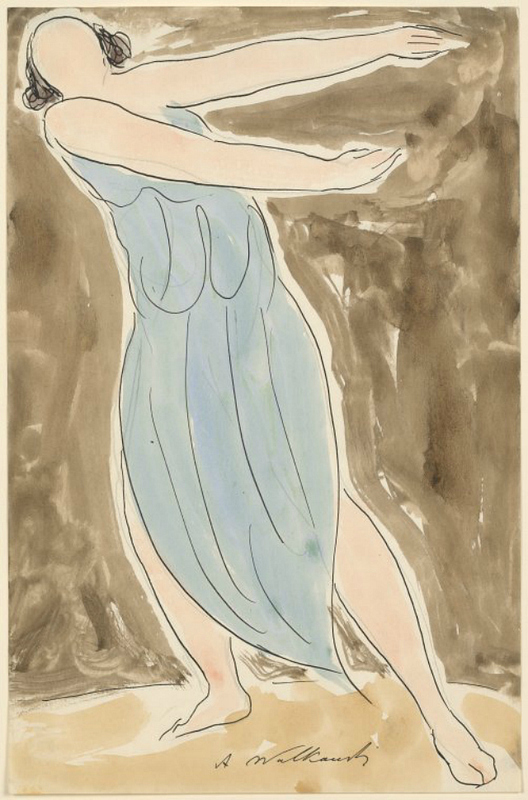 Each watercolor sketch was quickly made, with a few dark lines forming her silhouette lunging forward, prone on the ground, leaping with her head thrown back, and holding colored cloth aloft while always barefoot, which was radical considering the pointe shoe-clad ballerina reigned in the 19th century. 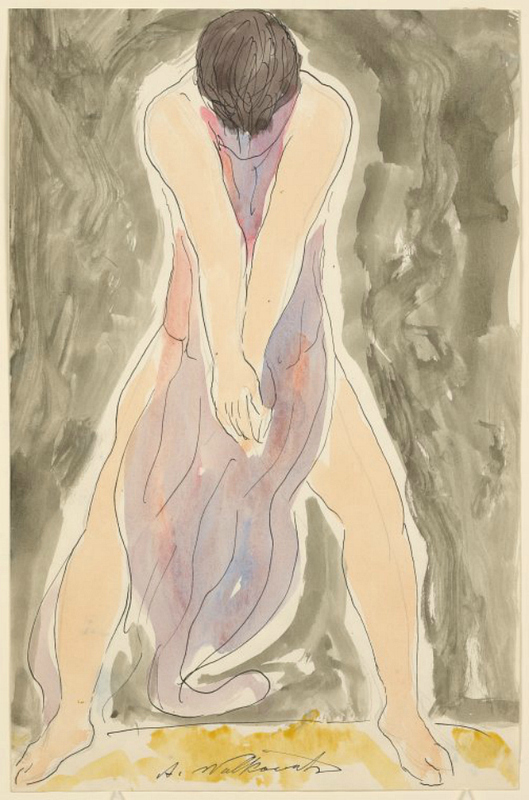 Her variously colored Delphos tunics in mauve, blue, and red reflect the ancient Greek influence on her style, and flow around her body in Walkowitz’s art, suggesting the rapid changes in her positions. 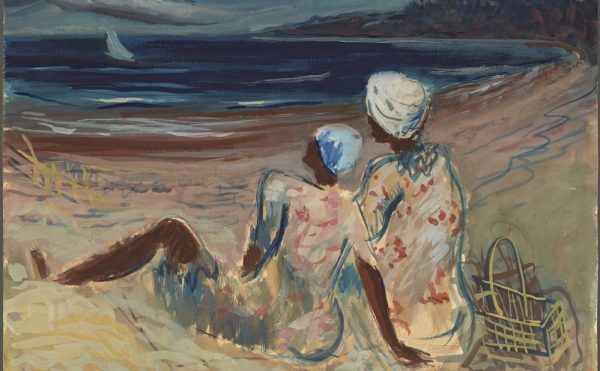 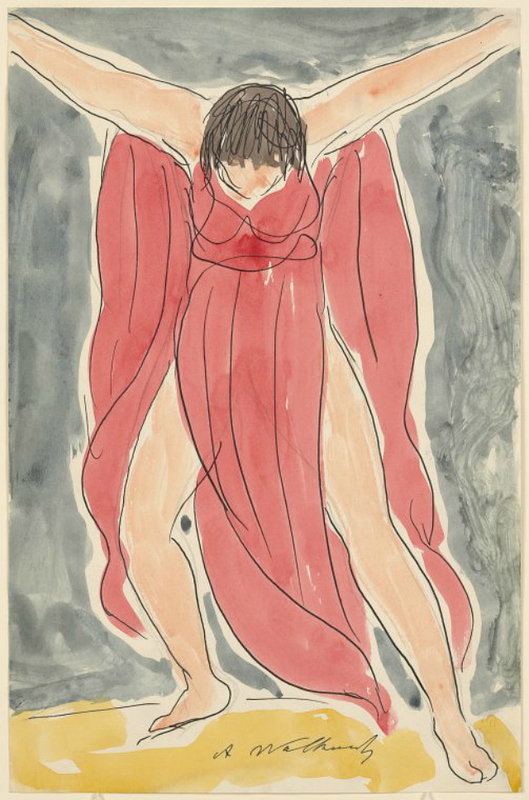 Almost all of Walkowitz’s illustrations were left as raw sketches, although one in the Museum of Modern Art from 1927 was completed as a fleshed out painting, a memorial after her death. 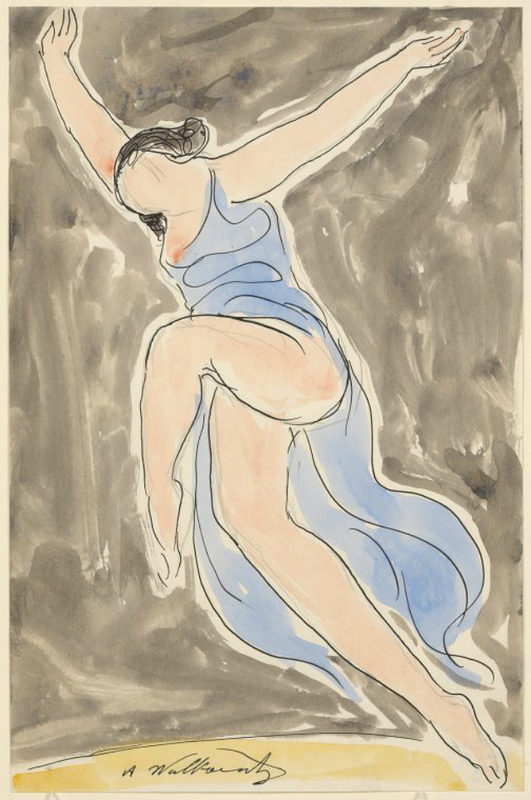 Unlike the sketches he made during her lifetime, there’s a stillness to this painting, representing the finality of all that athletic movement which would majorly influence the modern dance that followed in the 20th century. 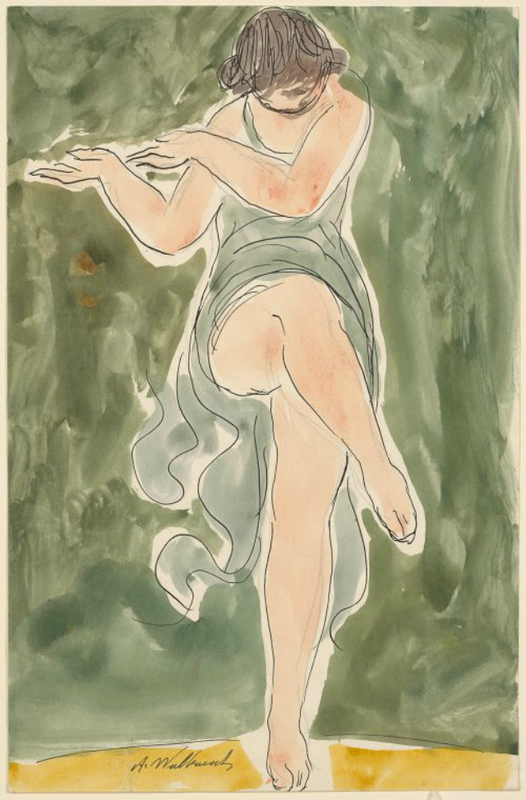 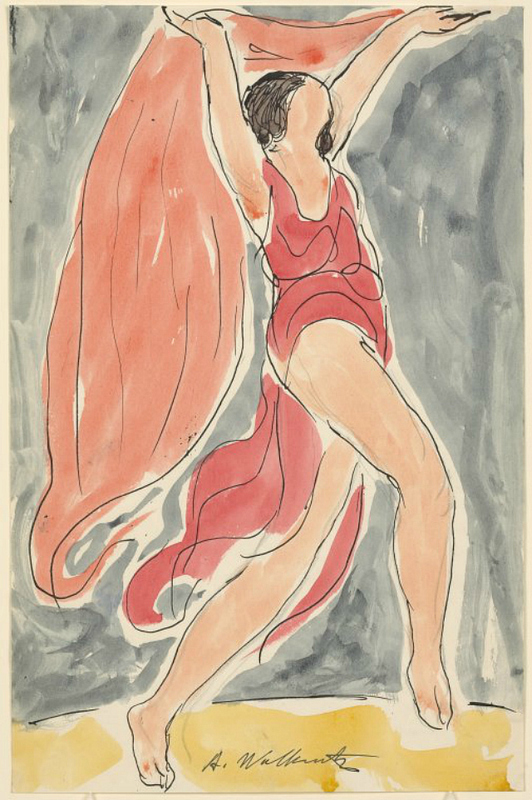 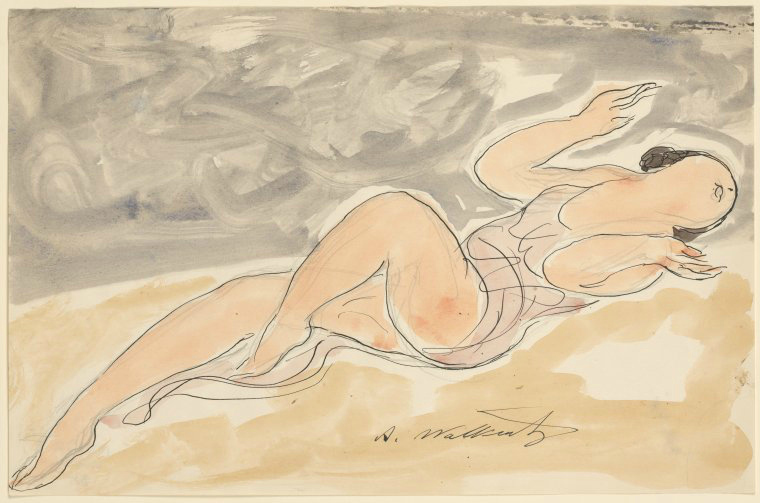 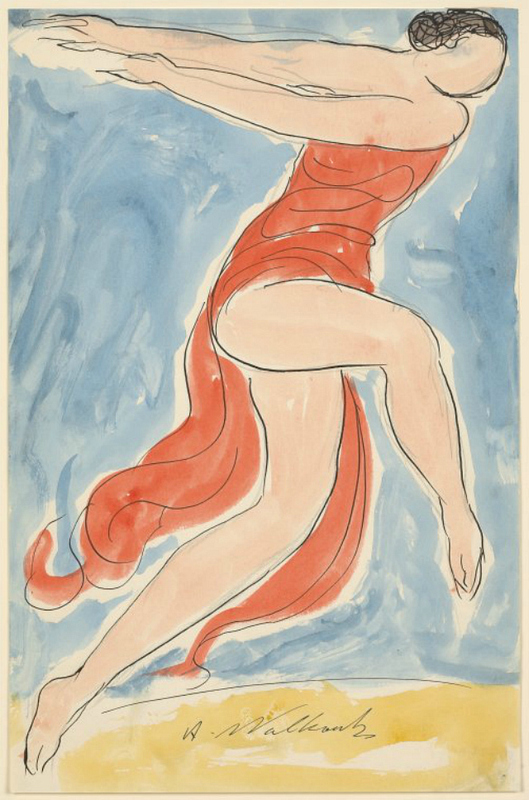 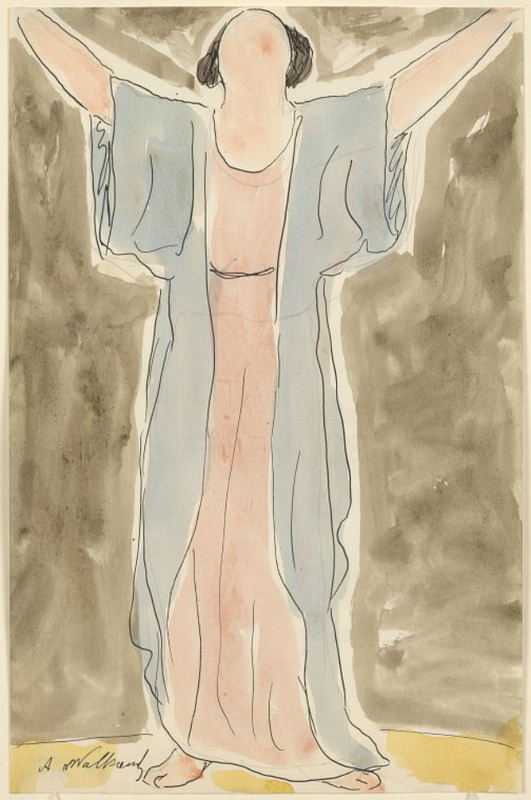 View all the digitized Abraham Walkowitz’s watercolors of Isadora Duncan online at the New York Public Library.